Healthcare today is an extremely complex process that is sometimes imperfect. Incidence of harm in healthcare is a national concern, and GBMC believes that its patients have a right to know how the organization is performing in relation to patient safety. The organization has made a commitment to be transparent about its efforts to provide safe, reliable care and recently launched a new page on its website, gbmc.org, which displays key patient safety and quality data. Included on the publically viewable website are metrics such as hand hygiene, infections, patient satisfaction and quality care measures. For example, patients who are planning a surgical procedure or expecting a hospital stay in the near future may have concerns about the possibility of acquiring an infection during their visit. Proper hand hygiene is the number one way to prevent healthcare-associated infections and the transmission of disease. GBMC’s Patient Safety and Quality Measures web page illustrates (in text and video) the ways in which GBMC monitors hand hygiene compliance and outlines the standards that all patient care personnel are expected to meet. It also provides a chart that shows how GBMC’s recent and current hand hygiene performance compares to the Maryland average. Having this type of information readily available can be valuable to patients as they research which hospital to entrust their health and well being. 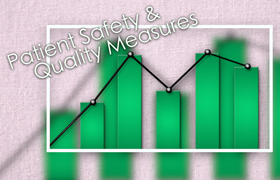 If a patient already knows that he or she will be coming to GBMC, it is hoped that reviewing the patient safety and quality measures data before coming to the hospital will also offer reassurance during a stressful time. To view the information and metrics, visit www.gbmc.org/quality. Any questions regarding the information may be addressed to GBMC using the form at the bottom of the web page. Or, contact Carolyn Candiello, Vice President, Quality and Patient Safety, at ccandiello@gbmc.org. ﻿Robert Cierkes recalls the day in 2008 that his primary care physician noticed a lump under his tongue during a routine exam. The last thing Mr. Cierkes thought it could be was cancer, but that’s exactly what it was. Upon confirmation that he had Stage II oral cancer, Mr. Cierkes was immediately referred to John R. Saunders, Jr., MD, FACS, GBMC’s Chief Medical Officer, surgeon with Johns Hopkins Head and Neck Surgery at GBMC and former Medical Director of the Milton J. Dance, Jr. Head and Neck Center at GBMC. He was quickly scheduled for surgery, which included removal of the lump under his tongue, nine of his bottom teeth, part of his jaw and his left neck lymph nodes. Although the surgery successfully removed all of the cancer, Mr. Cierkes needed extensive reconstructive surgery and rehabilitation. To make matters worse, he also suffered from a mini-stroke during the surgery, making recovery that much more of a challenge. Following a 10-day stay at GBMC, Mr. Cierkes received home care for a month and a half. “I had a feeding tube in for six months, so the dietitian visited a few times a week to help me learn how to feed myself and care for the tube,” he says. In addition, Mr. Cierkes made regular visits to the Dance Center for dietary and speech therapy services. He had to re-learn how and what to eat in order to maintain proper nutrition and also needed assistance with verbal communication. In October 2009, after several months of recovery, Mr. Cierkes started the next phase of the process—reconstructive surgery. He sought the services of Dr. Ghassan Sinada, a maxillofacial prosthodontist. In addition to operating his own practice, Maryland Prosthodontic Associates, located on GBMC’s campus, Dr. Sinada routinely collaborates with GBMC to ensure that head and neck cancer patients receive the comprehensive care they need. The first order of business was for Dr. Sinada to construct a dental implant that would replace the teeth and segment of jaw removed during surgery. This was followed by the placement of dental implants into the jaw. “In cases like Mr. Cierkes’, oral reconstruction takes a lot of time and planning,” says Dr. Sinada. “We use advanced scanning and three-dimensional models to give patients the best results possible. Titanium implants are often placed in one visit, but several months are needed for proper healing before we can proceed to the next step.” It’s worth the wait. Accurate placement of the dental implants followed by careful fitting restores the ability to bite and chew in addition to supporting the patient’s lips and cheeks, giving a natural look and feel. Now, Robert Cierkes is cancer-free thanks to Dr. Saunders and Johns Hopkins Head and Neck Surgery, rehabilitated thanks to the Dance Center team and sporting a beautiful smile thanks to Dr. Sinada. For additional information on GBMC’s head and neck cancer services, call 443-849-GBMC (4262). To learn about Johns Hopkins Head and Neck Surgery at GBMC, visit www.gbmc.org/headandnecksurgery. For more on the Milton J. Dance, Jr. Head and Neck Center at GBMC, visit www.gbmc.org/mjdanceheadandneck. To inquire about Dr. Sinada’s services at Maryland Prosthodontic Associates, call 443-519-5293. April is Women’s Eye Health and Safety Month, so now is a good time to reflect on an issue that is common in women – dry eye. According to the National Eye Institute, dry eye can be caused by improper tear production, tears that aren’t the correct consistency or tears that evaporate too quickly. Permanent vision loss due to dry eye is rare, but inflammation associated with it can lead to discomfort, ulcers, scarring of the cornea and some vision loss. Women make up more than 60 percent of the five million individuals over the age of 50 who experience dry eye, which is more common after menopause. Additionally, women who are pregnant or on hormone replacement therapy are more likely to be affected by the condition. Individuals experiencing symptoms should schedule an appointment with an ophthalmologist for accurate diagnosis and treatment. Treatment of dry eye will depend on its root cause and ranges from treating an underlying disease to taking anti-inflammatory medications. Closing the holes where tears drain from the eyes to the nose or using artificial tears, gels and ointments may be necessary. In some cases, wearing contact lenses may worsen dry eye symptoms, so switching lens types, decreasing the amount of time they are worn or wearing glasses instead can offer relief. The good news is that with treatment, permanent damage due to dry eye can be prevented. Combine first 8 ingredients in a small bowl, stirring well with a whisk. Pour 1/4 cup juice mixture into a large zip-top plastic bag. Add chicken to bag. Seal; let stand 5 minutes. Add oil to remaining juice mixture; stir well with a whisk. Heat a large nonstick skillet over medium-high heat. Coat pan with cooking spray. Remove chicken from bag; discard marinade. Add chicken to pan; cook 4 minutes on each side or until done. Place 1 1/2 cups spinach on each of 4 plates. 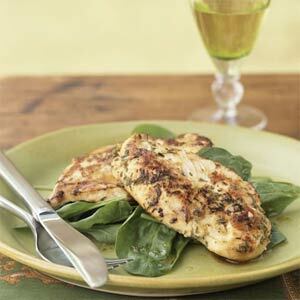 Divide chicken evenly among servings; top each serving with 1 tablespoon juice mixture. 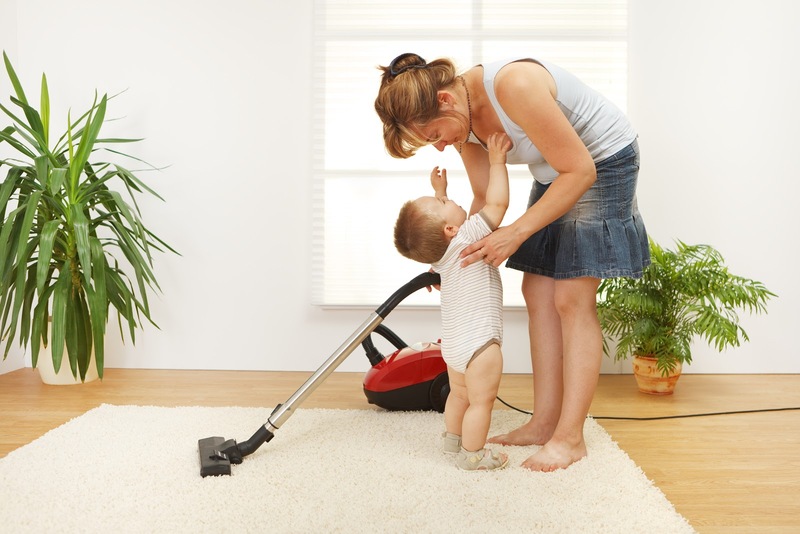 In many households, the start of spring means it’s time to clean! While it’s great to keep a tidy home, some cleaning products have ingredients that can be harmful, especially to babies and young children. Chemicals in cleaning products, or the fumes they produce, may cause airway, skin or eye irritations. Accidental poisoning of a child by ingestion of toxic cleaning solutions is also a very real concern because children may mistake colorful or pleasant-smelling cleaning agents for something good to drink. According to the Maryland Poison Center, approximately 50 percent of calls into poison centers involve children under the age of six. Fortunately, there are plenty of ways to clean up your spring cleaning routine so that it’s safer for children. Purchase greener, less caustic household cleaners. Look for "green" and "nontoxic" cleaners, or products that say "petroleum-free," "biodegradable," "phosphate-free," "VOC-free" or "solvent-free" on the labels. Dilute, dilute, dilute. Diluting a cleaner with water is an easy way to make a product less harsh. Many cleaners are still effective, even when watered down a bit. Try not to clean when children are in the room. This aids in limiting their exposure to any chemicals you may be using. Make sure to ventilate the room well before allowing children back in. Make your own cleaners. Ingredients like baking soda, diluted vinegar and citrus peels are less toxic than many commercially produced cleaners but are also effective. Avoid spray-on carpet cleaners when possible. Chemicals in carpet cleaners may become trapped in the carpet. Consider using a steam cleaner with water (no detergent) instead. Skip the antibacterial soap. Plain soap and water gets germs off just as well. Antibacterial soap contains unnecessary chemicals and may increase the risk of creating tougher, resistant bacteria. Stop dirt at the door. Make it a family rule to wipe feet or take shoes off at the door. It will help to keep dirt and other contaminants outside so that cleaning won’t be required as often. Making changes to the way you clean and the products you use might take some time, but it could be beneficial to your family’s health and is worth considering. *Household cleaning products - chemical or natural, purchased or homemade - should always be kept out of the reach of children.